Hell, yes! 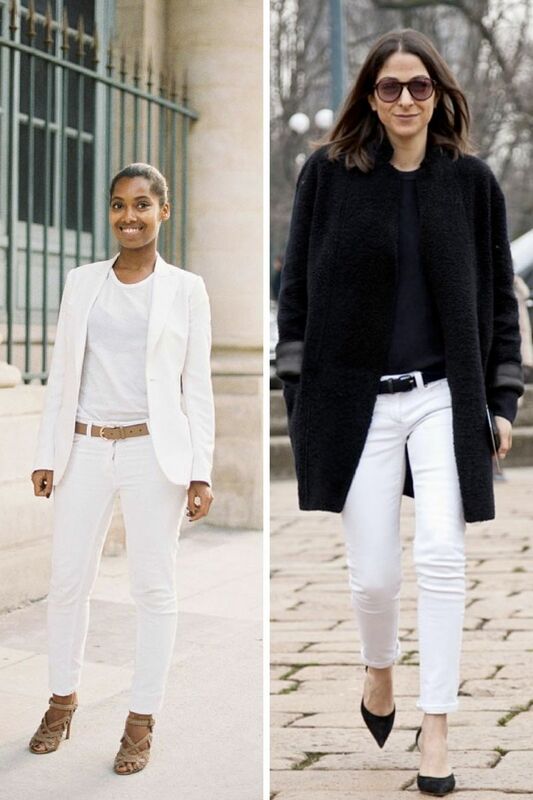 White jeans for Winter sounds ridiculous, but trust me, this is perfect ways to underline your style and make a stand out look no matter where you are. 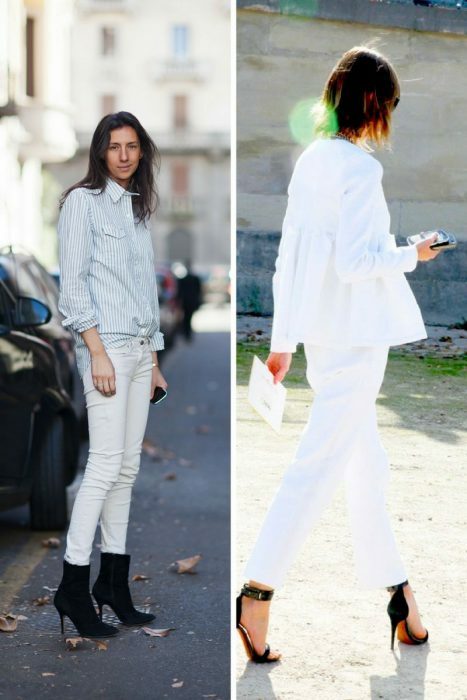 Like it or not, but most women have a kind of obsession with denim and there is nothing wrong with it. Let it be ripped, cuffed, shortened, flared, skinny, wide, low-rise, high-waisted, every pair of jeans is a perfect way to underline your personality. But when we speak about jeans color, then I can think of blue ones, especially during Wintertime. 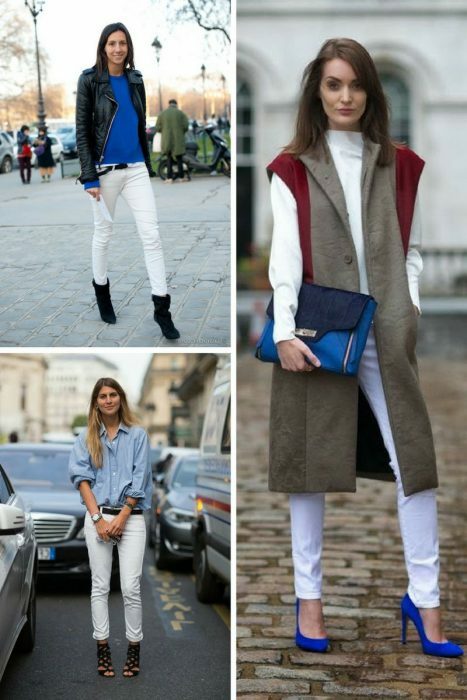 To my surprise white jeans are back for cold season wear and it’s okay to use the ones you used to wear in the summertime. I am telling you, I was skeptical about this trend at first, but then I gave it a try and to my surprise, I looked amazing! 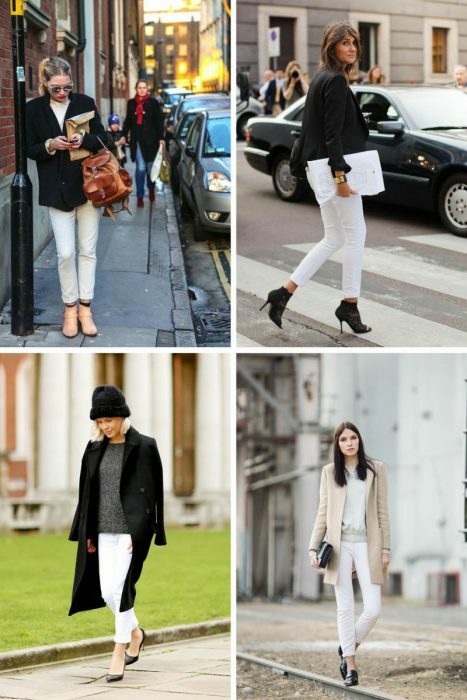 No one expects to see you in white jeans! This look is ridiculously cool and fashionable. You can easily nail this look in Winter months, all you need is to add black shoes, like ankle-boots, wedges, fancy sneakers and dark color coat or jacket, that’s it! 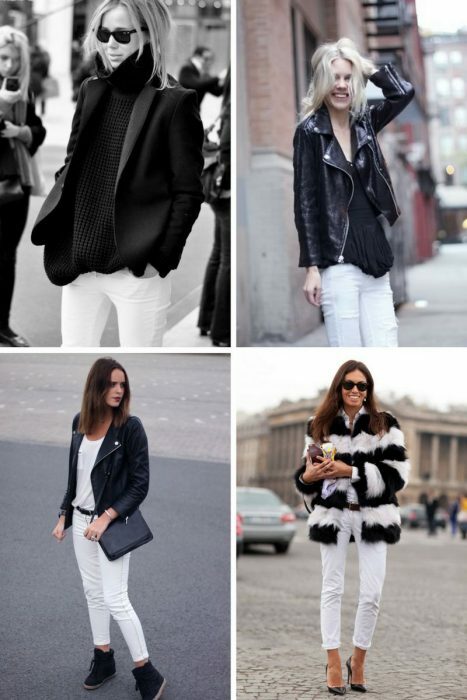 You are free to add a cozy soft neutral colored sweater, either colored in pastels, leather jacket or black blazer. So, don’t think white jeans in Winter is a faux pas, this is a perfect way to brighten up your week with something fresh and trendy.